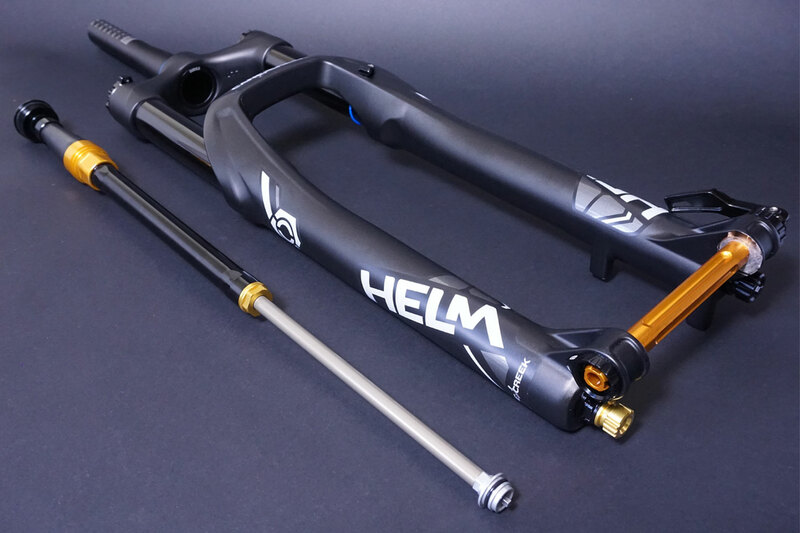 Cane Creek HELM Fork Now Available to Pre-Order on Cotic Bikes - HELM YEAH! We have had some Cane Creek HELM forks on test for a few months now, and safe to say we love them! Stiff, light, plush, tuneable and they look rad as hell! Sam liked them so much he didn't give them back, as the picture above attests to! 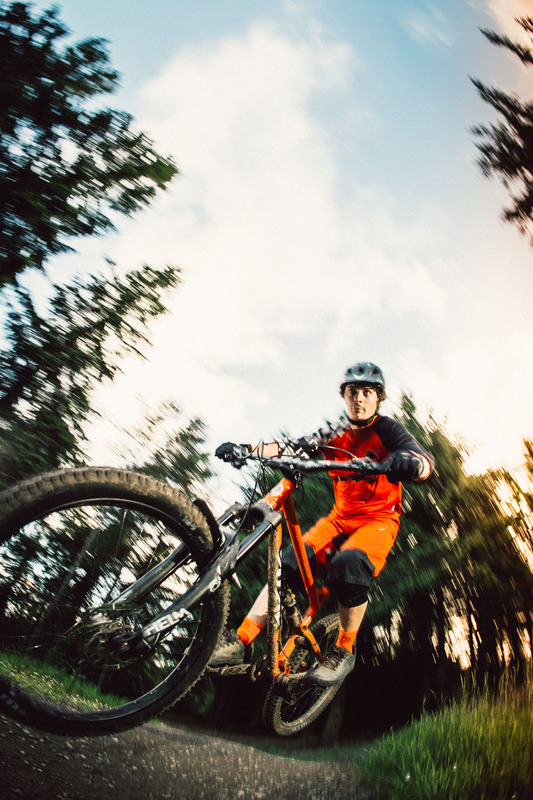 Cane Creek have been flat out getting into production and our first batch of forks are available to pre-order on bikes now for August delivery. They are adjustable travel anywhere from 100mm to 170mm (although you can only max it out at 160mm on Cotic bikes) so it will work on the Soul, BFe, the Flare and the Rocket. We have options for 120, 130, 140 and 160mm travel, which we think we suit our bikes best. You can add the forks to your bike order by selecting the bike, size and colour you want on the Order Page then hit "GO CUSTOM". You can then fiddle with your bike spec to your heart's content, including adding the HELM. They are a small saving over the Fox Factory forks on the Platinum builds, £350 upcharge over the stock Gold Build, or £450 over the Silver Build.